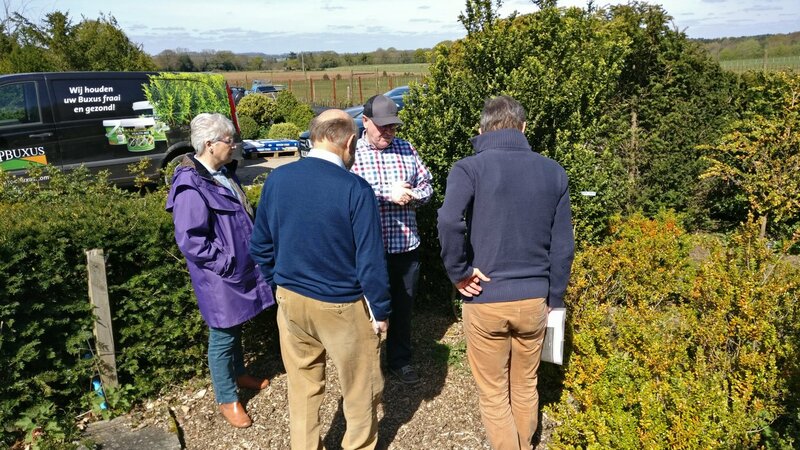 Two of our founder members, Elizabeth & Mark Braimbridge created a National Collection of Buxus plants at their Langley nursery. 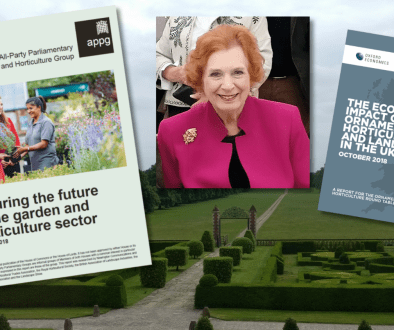 Some of the plants in the collection had come as seedlings from the gardens at the National Trust’s Ickworth Estate in East Anglia through Elizabeth’s friendship with Jan Michalak, who was the Head Gardener there for 22 years. 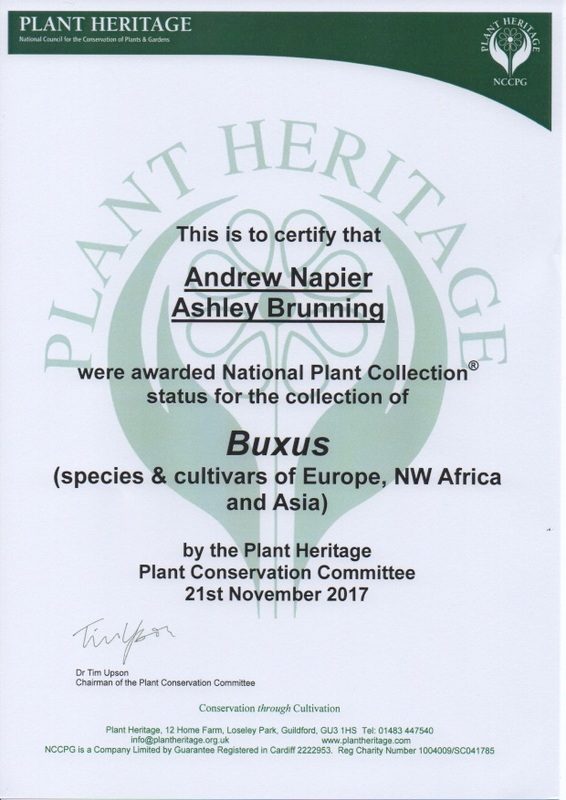 During Jan’s time, the Ickworth buxus was also recognised as a National Collection. Unfortunately, some years after Elizabeth passed Langley onto a new owner, the collection fell into neglect and it lost it’s status. 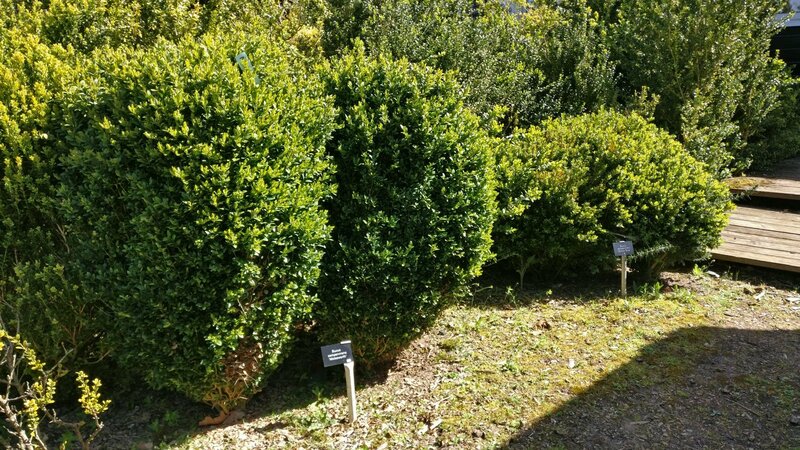 Ickworth also lost it’s status when it was affected by blight in 2015, which meant that the UK had no official Buxus collections. 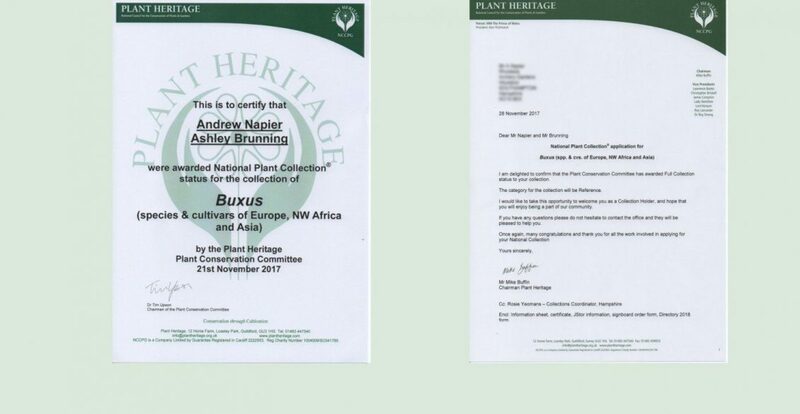 EBTS UK member Andrew Napier and his wife Lena, along with Ashley Brunning, the current owner of the Langley collection, have been working hard to regain National Collection status. 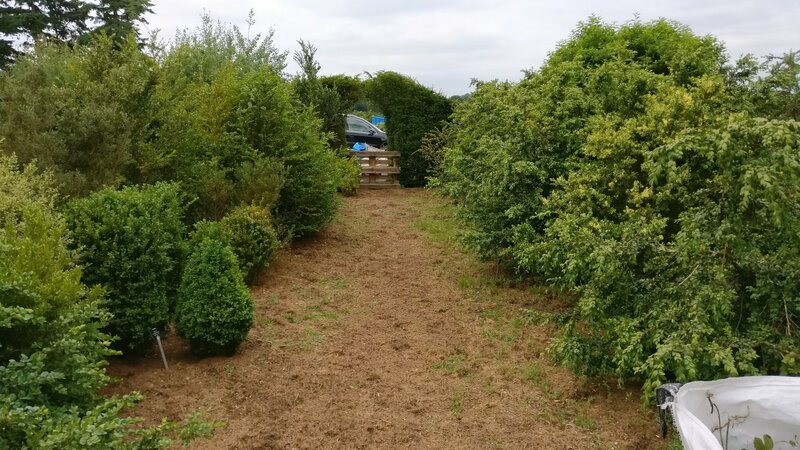 EBTS and Topbuxus (who have supplied their products for free for two years) have assisted with these efforts. 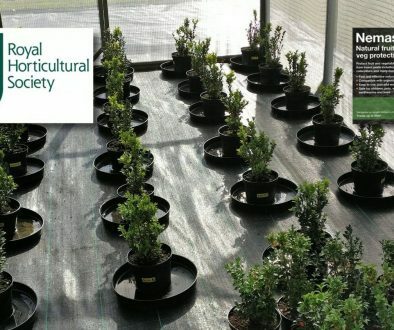 In early November, after a lot of preparatory work in conjunction with Rosie Yeoman, Collections Coordinator for Hampshire, an application for Langley to once again become a national collection was submitted. 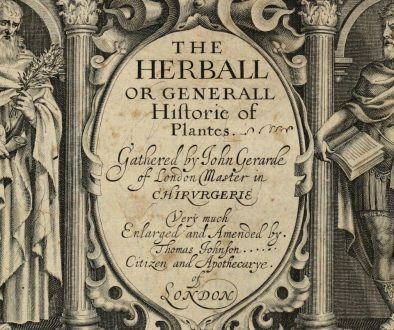 Plant Heritage is the body responsible for the registration of collections and helping to safeguard the unique garden flora across Britain and Ireland.